For a new adaptation of the classic Thomas Hardy novel, we examine 2015�s Far From the Madding Crowd. Set in Victorian England circa 1870, we meet a young woman named Bathsheba Everdene (Carey Mulligan). Not the shy, introverted type, Bathsheba shows independence and a willingness to take charge of her affairs without help from a man. Apparently this works for the men in her area, as she attracts a slew of suitors. The tale concentrates on her relationships with three of these men: sheep farmer Gabriel Oak (Matthias Schoenaerts), soldier Sgt. Frank Troy (Tom Sturridge) and older, wealthy William Boldwood (Michael Sheen). We get to know more about Bathsheba as she goes through romantic ups and downs. I admit that I went into Crowd with fairly low expectations, largely due to my age and gender. Stories like this don�t seem intended for middle-aged men, and I just don�t tend to enjoy this sort of �chick flick�. Exceptions to this rule exist � I rather liked the 2005 Pride & Prejudice, for instance � but normally it�s safe to assume that I won�t dig into female-oriented tales such as this. Chalk up Crowd as a pleasant surprise, one that succeeds largely because it resists genre pitfalls. When I go into a movie like this, I often find lead female characters who confuse �independent� for �obnoxious�. A role like Bathsheda easily could become irritating in her so-called �headstrong� nature, as this sort of tale often just makes the women selfish and cruel. Such a fate never befalls the balanced Bathsheba, as in Mulligan�s hands, she comes across as well-developed and believable. When she exerts her independence/will, she seems determined but not harsh or spiteful, and Mulligan lends her a quiet intelligence that suits her. Mulligan�s Bathsheba turns into a compelling character who becomes likable without ending up as a one-note �strong woman�. A nice sense of understatement also allows Crowd to prosper. It largely avoids melodrama so the story and roles develop in a natural manner. We find ourselves involved in the affairs because the movie doesn�t force itself on us; it lets us come to the characters in a subdued manner that makes it all the more appealing. No one will find an especially unpredictable narrative here, as much of Crowd proceeds according to a pretty easily anticipated plan. I won�t throw out spoilers, but I will say that it becomes obvious quickly which suitor Bathsheba will eventually choose. That potential negative aside, Crowd delivers a pleasant journey. It mixes strong performances with engaging characters and a subdued sensibility to form a winning tale. 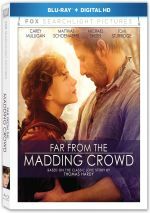 Far from the Madding Crowd appears in an aspect ratio of approximately 2.40:1 on this Blu-ray Disc. This became a satisfying presentation. Sharpness tended to be positive. A few shots showed a smidgen of softness, and not for especially logical reasons. Overall, though, detail seemed good. I noticed no signs of jaggies or edge enhancement, and shimmering was absent. The film lacked print flaws and seemed clean. Many period pieces opt for subdued palettes, and that was true here. The colors tended toward amber tones, which fit the design typical for this sort of movie. 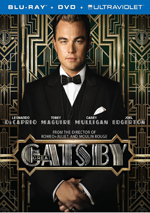 These appeared fine within the film�s stylistic choices. Blacks seemed dark and tight, and shadows demonstrated good clarity. I found this to be worth a �B+�. A character drama wouldn�t seem to be a candidate for a dynamic soundtrack, and the DTS-HD MA 5.1 audio of Crowd fell into expected realms. A few scenes � on the beach, in the streets, during a fire, through a thunderstorm � used the various channels well. Those instances remained the exception to the rule, though, so expect a subdued mix the majority of the time. Audio quality satisfied. Music was full and rich, while effects showed nice clarity and accuracy. Speech � obviously an important factor here � appeared concise and crisp. Nothing here soared, but it all seemed positive for the material at hand. Nine Deleted Scenes fill a total of 17 minutes, 54 seconds. These tend to expand elements related to supporting characters. In particular, Boldwood and Troy receive extra screen time. These sequences add a little depth to the proceedings but none prove to be essential. Nine Promotional Featurettes ensue. We find �Bathsheba Everdene� (3:17), �The Suitors� (3:56), �Adapting Far from the Madding Crowd� (4:32), �The Look of Far from the Madding Crowd� (5:08), �Gabriel Oak� (2:22), �William Boldwood� (2:34), �Sergeant Troy� (2:26), �The Locations of Far from the Madding Crowd� (5:03) and �Thomas Vinterberg� (4:07). Across these, we hear from director Thomas Vinterberg, writer David Nicholls, producers Andrew Macdonald and Allon Reich, costume designer Francoise Fourcade, makeup designer Sian Grigg, production designer Kave Quinn, location manager Alex Gladstone, assistant location manager Damon Crane, and actors Carey Mulligan, Michael Sheen, Matthias Schoanaerts, Juno Temple, and Tom Sturridge. The clips look at the source novel and its adaptation, story/characters, cast and performances, costumes and makeup, sets and locations and Vinterberg�s approach to the project. The featurettes tend to be spotty but still reveal a decent amount of information. I especially like the comparisons with the novel and the 1967 film. In addition to the film�s trailer, we get a gallery. This includes 29 shots from the set. It becomes a mediocre compilation. The disc opens with ads for Me and Earl and the Dying Girl, The Second Best Exotic Marigold Hotel and Cake. Sneak Peek adds promos for Wild, The Sound of Music, Desert Dancer and �Best of TV�. With a good lead performance from Carey Mulligan and an understated approach to characters and story, Far From the Madding Crowd works much better than I expected. The movie progresses at a good pace that lets events unfold in a natural and engaging manner without the usual melodrama that mars so many projects of this sort. The Blu-ray gives us good picture and audio along with some minor supplements. I feel pleased with this likable romantic drama.